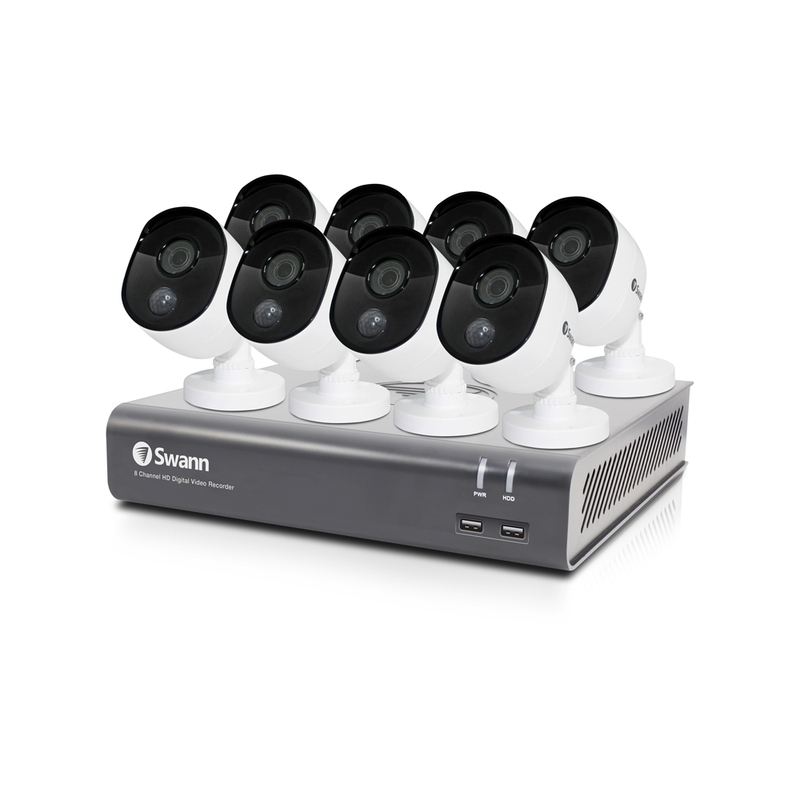 8 Channel 1080p Digital Video Recorder / 1080p Full High Definition Video / Pre-installed 1TB HDD / 8 x Motion Sensing HD Cameras / Clear night vision / Push Notifications via Smartphone App / High Def HDMI & VGA output / Smartphone Viewing, Be protected & see ever detail in Full HD. 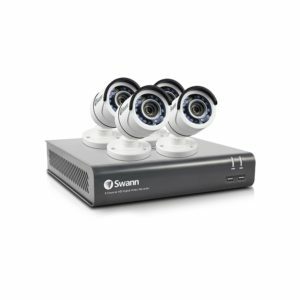 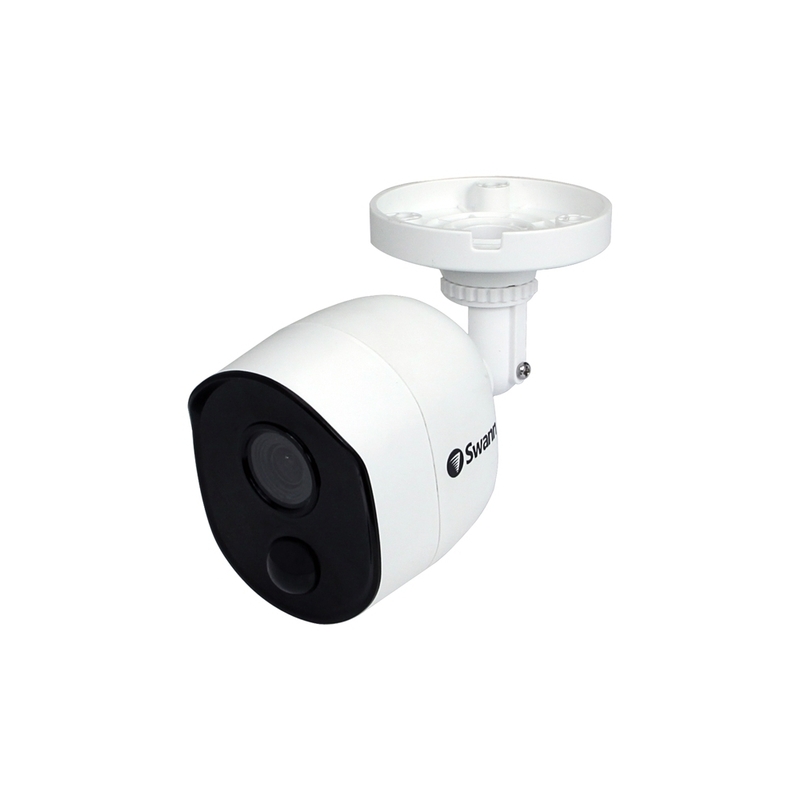 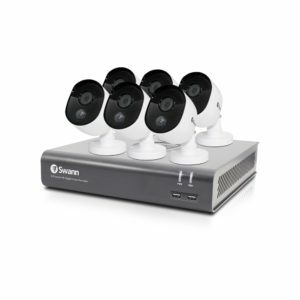 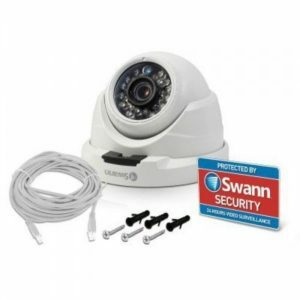 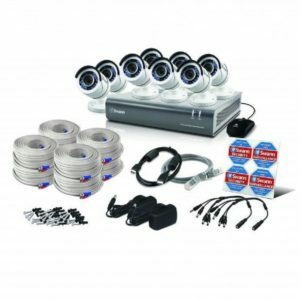 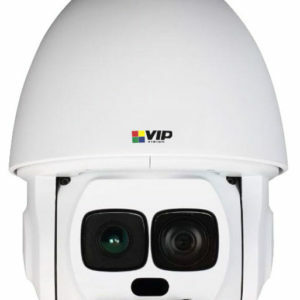 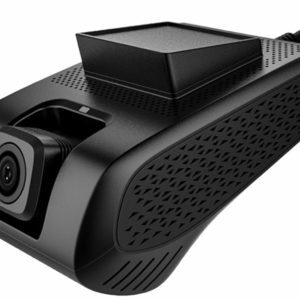 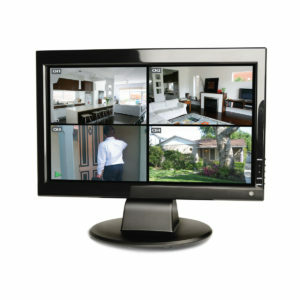 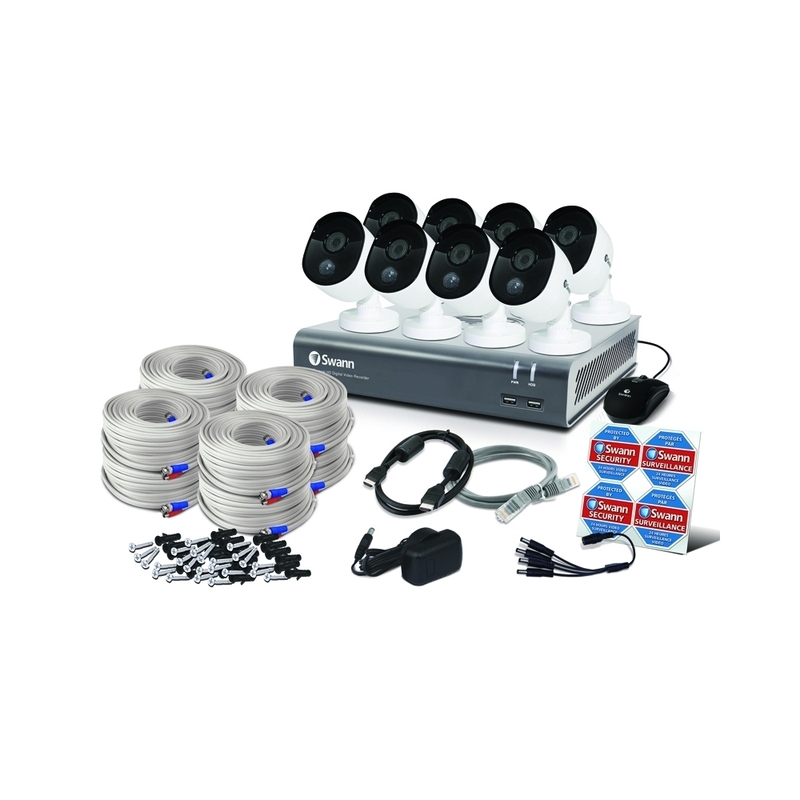 A cutting edge & easy to use surveillance system with 1080p high definition video to see & protect your premises Set & forget by recording from 8 channels for a whole year+ onto a massive 1TB hard drive Seeing is believing with 4 x 1080p HD cameras offering 50ft/15m infrared night vision & durable construction for indoors or outdoors. 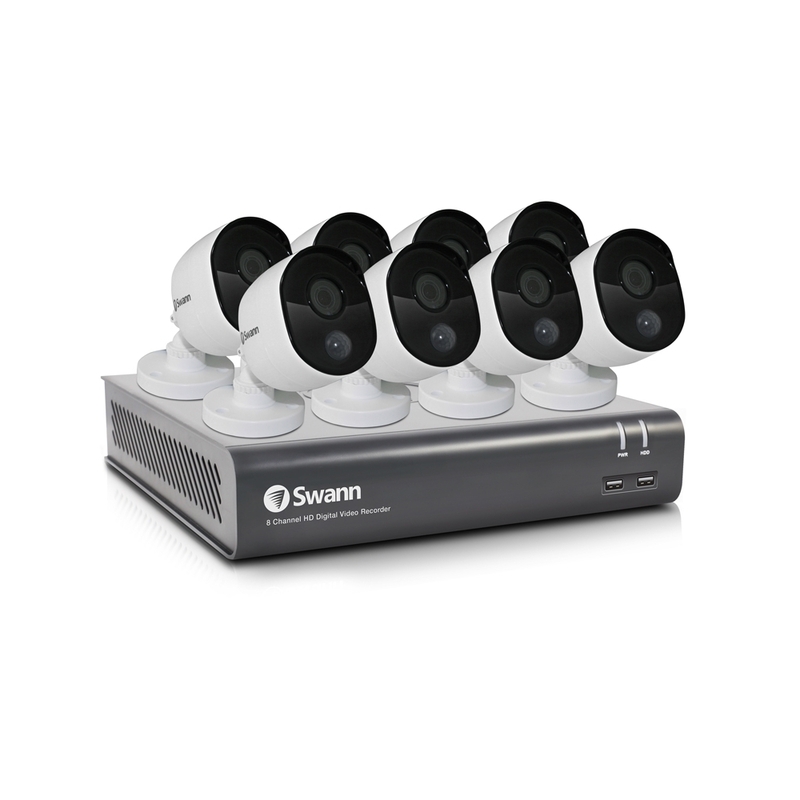 The cameras feature state of the art Swann True Detect PIR motion sensors designed for security applications & optimised to reliably detect people, but also cars, large pets & other large heat generating objects With more accurate motion detection you have more reliable notifications & recording, eliminating false triggers due to the wind, leaves falling, bugs, rain & more, saving hard drive space & payback time Save time & have peace of mind by easily locating incident video, then transferring it external storage via USB View live or play back video in high definition on your HDTV, LCD screen or monitor via HDMI connection or VGA port Surveillance in the palm of your hand with live viewing on Smartphone & tablets including iPhone’s, iPad’s & Android devices using the free Home-safe View app Cut the cost of crime & know whats happening with this expandable HD security system to suit all homes offices, small businesses & retail stores.